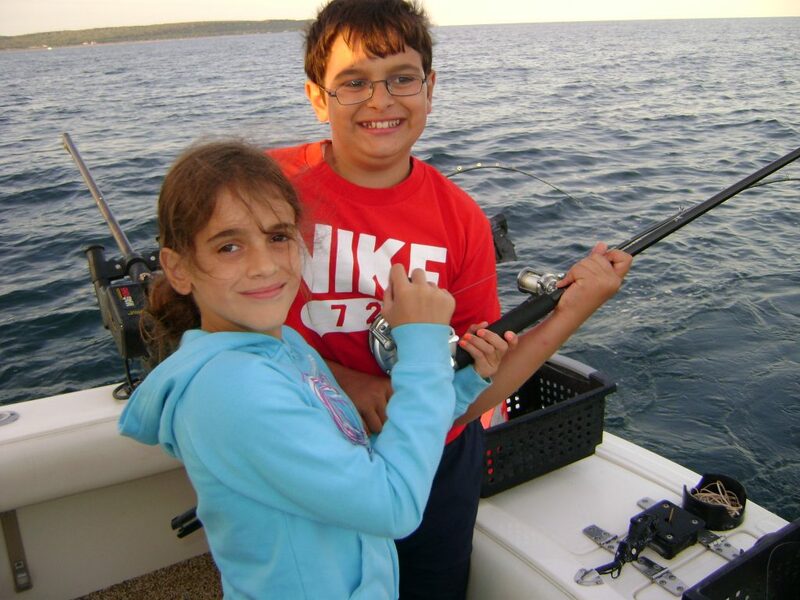 Ice out until September 29, 2019, except May 21-June 6, and August 5-25. 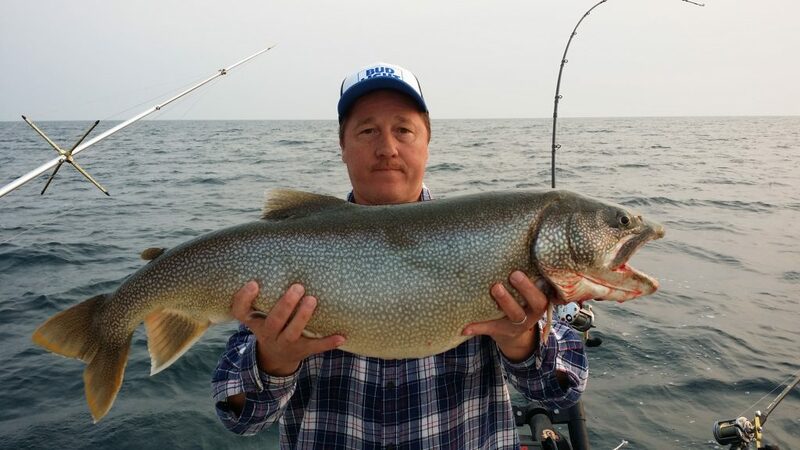 The great early season fishery begins at Ice out, when hungry Trout and Salmon roam the shallow waters of southern Lake Huron in search of baitfish. 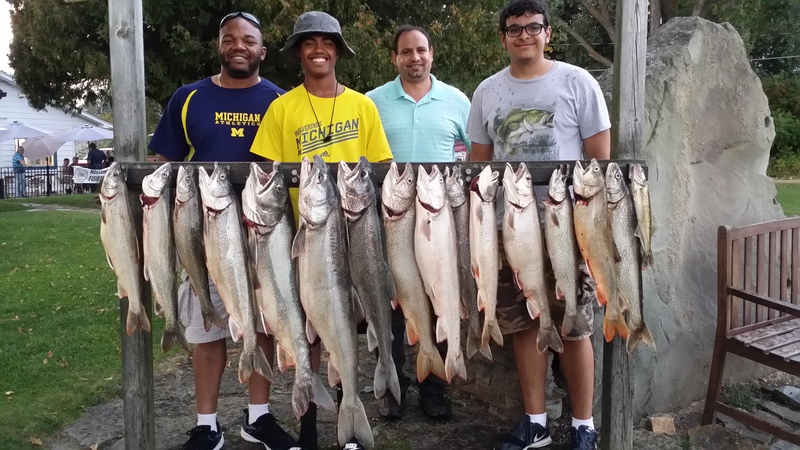 Delicious Lake Trout, Coho Salmon, and Chinook make up most of the catch. 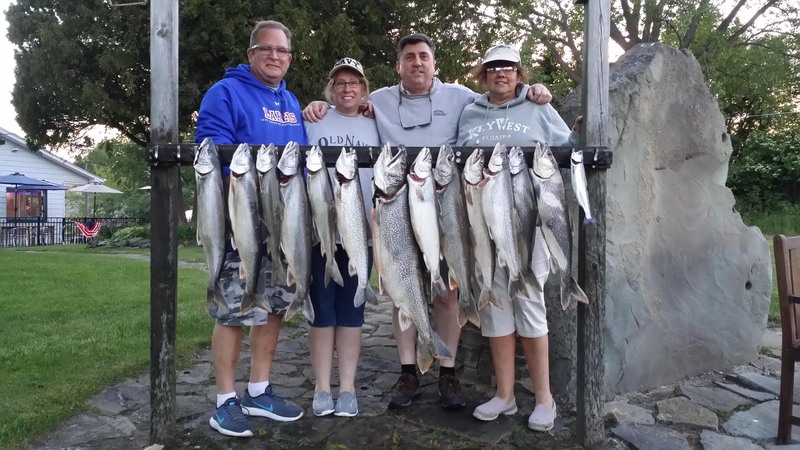 In the Port Austin / Grindstone City area, the fishing continues to be nothing less than phenomenal in June and July when Whitefish, Walleye, Steelhead, Atlantics and a few Chinook Salmon add to the daily catch. 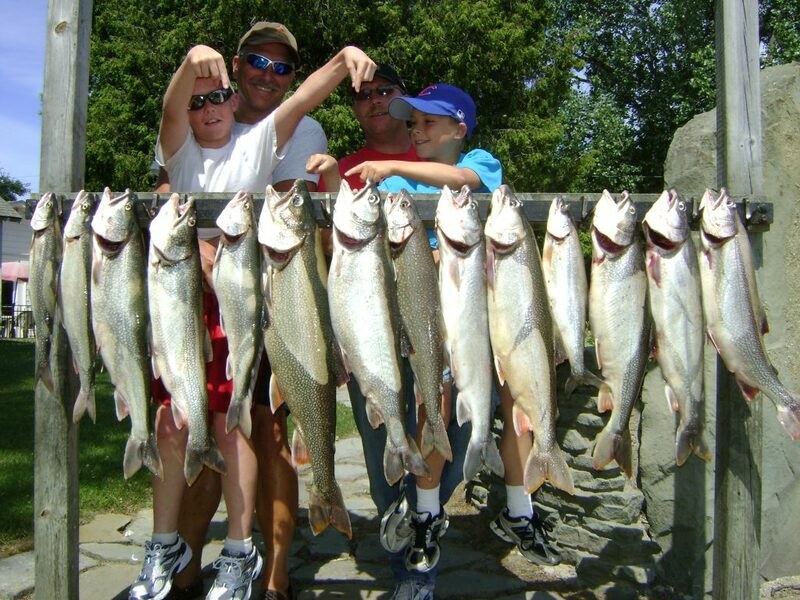 The fishing remains awesome for Lake Trout, Steelhead and Walleye until fall. 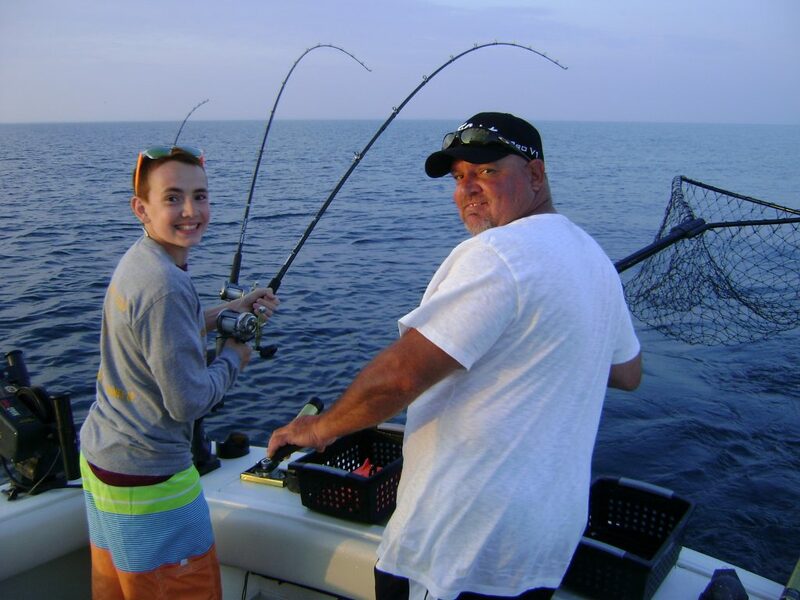 For a real treat, have your fresh fish cooked for you at Captain Morgan's Bar and Grill. 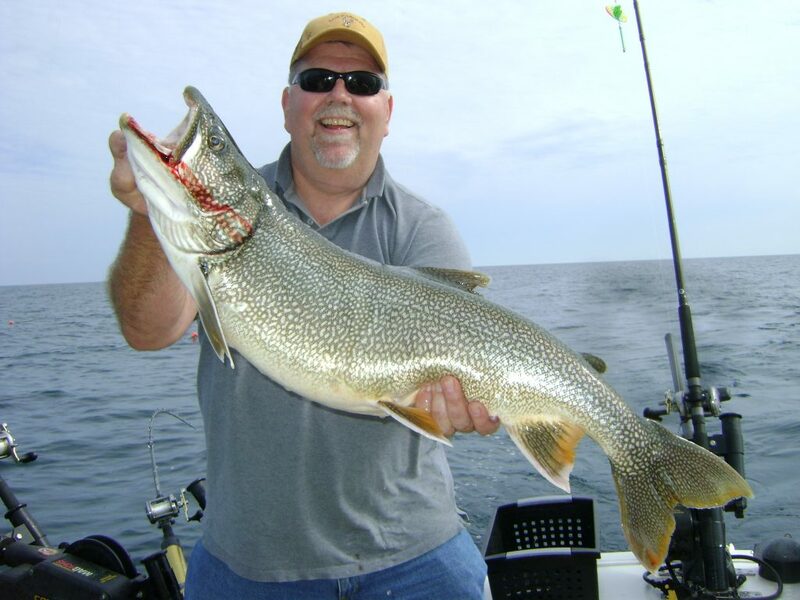 FULL-DAY, LONG-RANGE JIGGING TRIPS NOW AVAILABLE ON LAKE HURON! 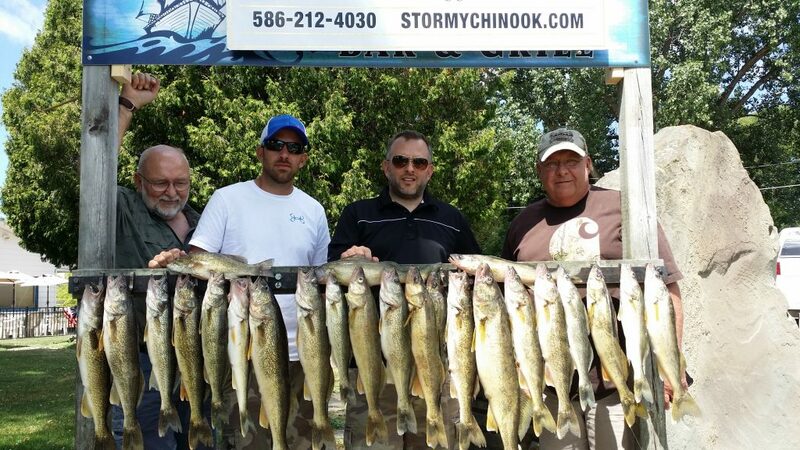 Please call Captain Dan, 586-212-4030 to discuss this or any other custom trip options. 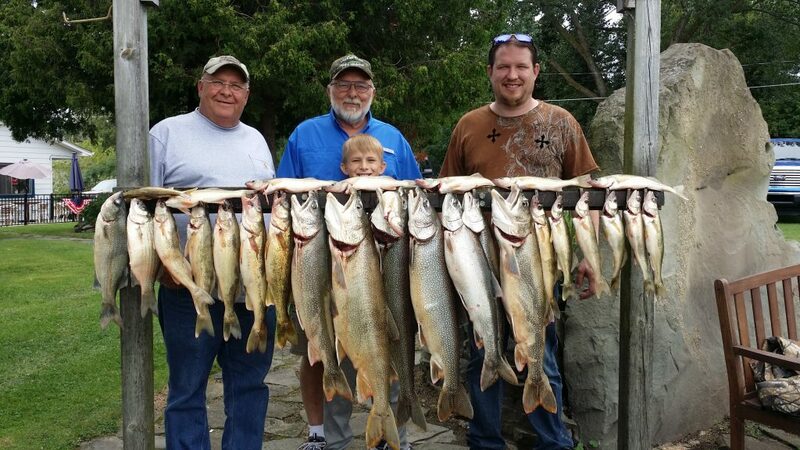 Morning – 6 Hours or limit catch. Trips run daily, beginning at dawn. Most popular! 3 persons $480 Extra persons $60 Extra Time $60 hr. 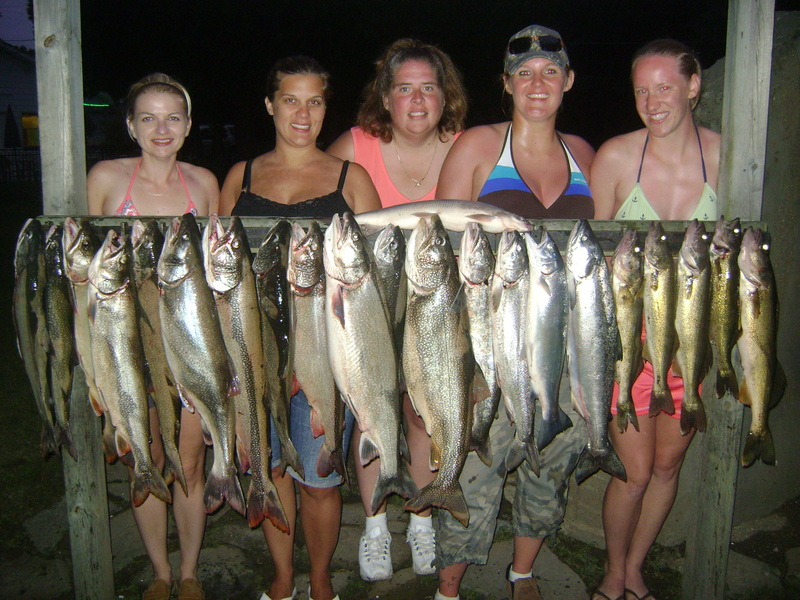 Evening – 6 Hours or limit catch. Trips run daily, ending at sunset. 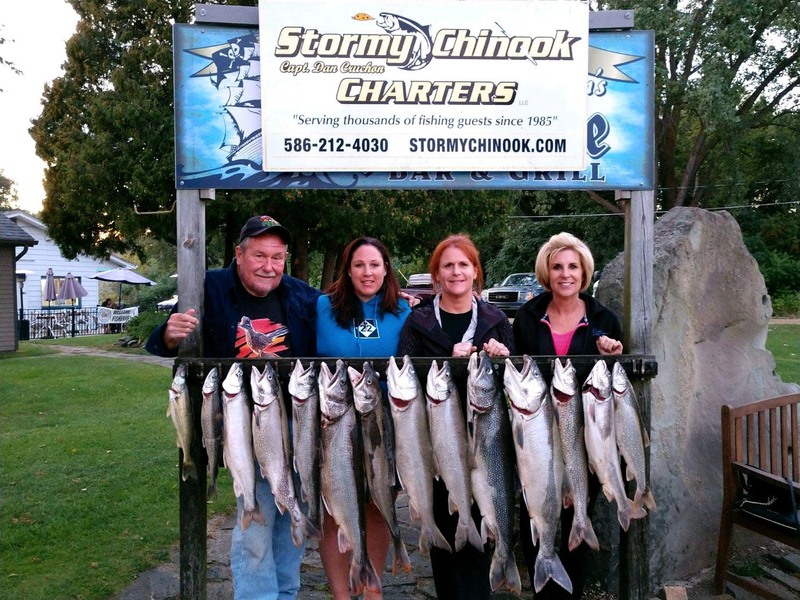 Stormy Chinook operates from the Michigan fishing ports of Port Austin / Grindstone, Lexington, Drummond Island on Lake Huron and Frankfort on Lake Michigan. 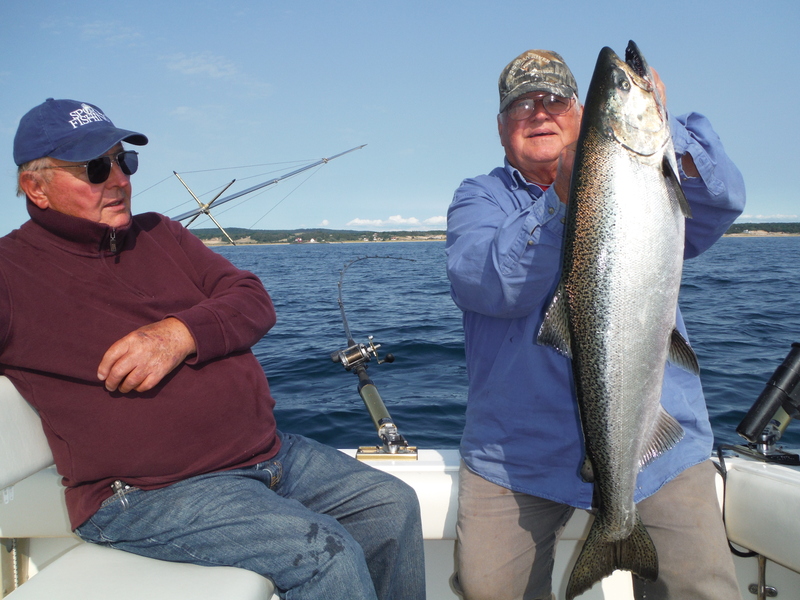 You'll experience big game sportfishing for Chinook salmon, Coho salmon, Steelhead, Lake trout, Walleye, Whitefish and Atlantics. 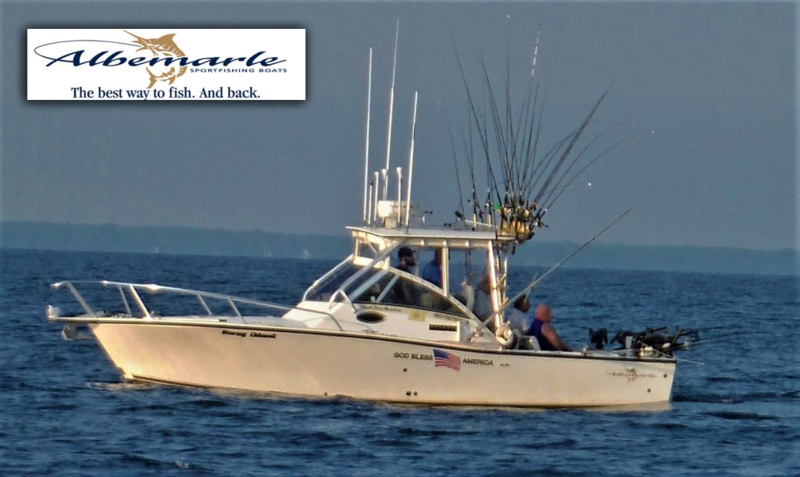 The Stormy Chinook is a 28' Albemarle, built for sport fishing, fast to open water, has a stand-up bathroom, and a heated enclosure for inclement weather.